vlog meaning ? what is vlog, vlogging and defination of vlog. HomeBloggingvlog meaning ? what is vlog, vlogging and defination of vlog. What is Vlog, vlog meaning, A vlog or (video log) is the updated version of old blog, in old blogs people share information in writer form, but now the people are so lazy to read all the information in writer so there was a new way to spread information, and the best way is vlog. 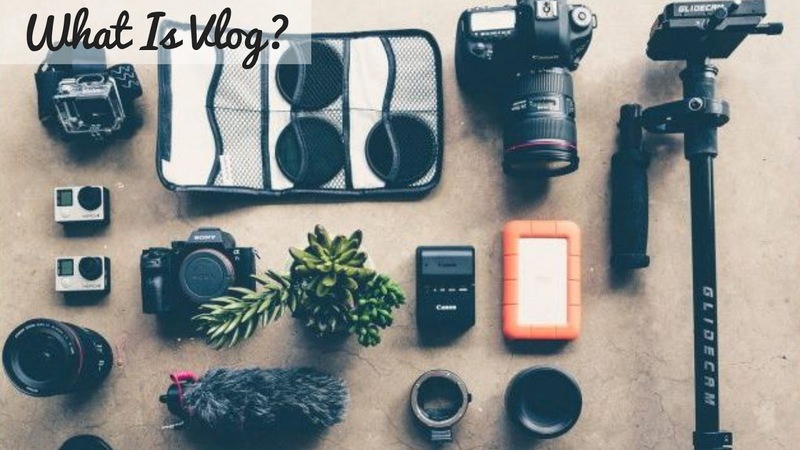 in vlog people record all the stuff about the topic and then upload to the network such as youtube, daily motion or in their websites. Different Between Blog and Vlog ? Blog is something a written journal or any informative website which was publish in website. blog is the best way to express your thoughts in written form. What is a vlog ? Vlog is a recorded or live video which was share in video sharing platform such as youtube and daily motion or any social media platform. in today's most people are preferred to see a vlog either reading an article or blog. future in vlogging is very bright if you are making vlogs in new and unique ideas and if peoples loves your content then no one will stop you to became a successful vloggers. i hope now all you got vlog meaning, definition of vlog.